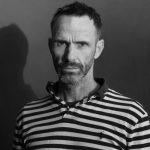 David Swenson – the ‘Godfather’ of modern day Ashtanga Yoga returns to Manchester in July 2018 to lead his famous week long Yoga Teacher Training / Yoga Immersion programme. Full details of the training can be found here. Please see below for student testimonials from David’s previous courses in Manchester. David’s approach to teacher training is much like his personality: fun, compassionate, and above all, approachable. 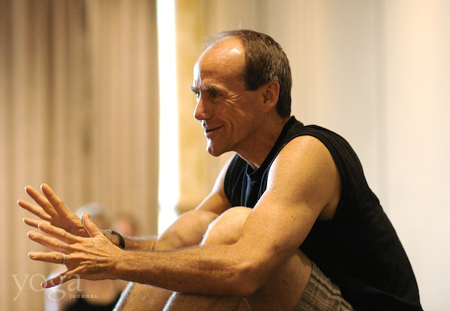 Set in a context of four decades of teaching, David has a magic about him that is infectious, and provides a much needed light-heartedness to Ashtanga yet there is an undeniable richness in his teaching and guidance. With adjustments and variations provided for all the postures of the Primary Series, David encourages an intuitive rather than overly technical approach to teaching Ashtanga, and after the 40 hours I left feeling more empowered and inspired. I attended David’s course to inform my own practice, I wasn’t even thinking about getting into teaching. This didn’t last long though, I was buzzing at the end of each day – David’s enthusiasm for Ashtanga yoga is infectious! He really is an inspirational teacher with a great sense of humour. David presents the postures, anatomy, philosophy, history, culture and personal anecdotes in an accessible way often wrapped up in a compelling and memorable story. He encourages students to think about what the postures are doing and how to break them down in order to make variations suitable for different bodies. We were provided with the tools to help us decide when to adjust a student and how to adjust safely and effectively. The course was a great investment for both my practice and teaching career. Several years on there are many things I learned that week that I still apply today. To experience a whole week with David Swenson, the living legend of Ashtanga, is one joy, but to add a packed week of communal yoga and a complete journey through the Primary Series, learning his personalised and practical adjustments takes the senses to a whole new level. David takes us step by step through the postures, interweaving his nicknames for the recommended adjustments ( “..Drive By, anyone,…?! ),adding anecdotes and sharing memories of his Beloved Guruji, shining his open, inspirational heart on a practice he loves and respects passionately. He encourages us to teach the series in 90 minutes, so this is relevant not only for teachers but those who want to absorb the Grandmaster’s innate warmth, wisdom and practical, no nonsense outlook to a lifetime of yoga. David is a wonderful man who approaches his teacher training in the same way he approaches his Ashtanga yoga life as a whole. Seriously committed, but full of fun. He told us a yogi is someone who leaves a place a little better than when he arrived. And so David did. He built our confidence from day one to deliver teaching of the primary series safely, and precisely as he had learned. His teaching was richly enhanced by tales from Mysore and a sense of humour I will never forget. Yet he was as humble as could be. I believe also that we all made a really good friend that week. We attended the David Swenson 40 hour Teacher Training immersion course in Manchester in May 2014. David Swenson presented the yoga in a fun accessible way and we loved it.David Swenson is a brilliant yoga genius who kept things flowing and really interesting. It has helped with our approach to yoga teaching and inspires us still.